Below is a list of monographs and edited volumes by researchers and affiliates of MUSTS. For more information and ordering, see MIT Press. For more information and ordering, see Palgrave MacMillan. Since the mid 1960s, American science has undergone significant changes in the way it is organized, funded, and practiced. These changes include the decline of basic research by corporations; a new orientation toward the short-term and the commercial, with pressure on universities and government labs to participate in the market; and the promotion of interdisciplinarity. In this book, Cyrus Mody argues that the changes in American science that began in the 1960s co-evolved with and were shaped by the needs of the “civilianized” US semiconductor industry. In 1965, Gordon Moore declared that the most profitable number of circuit components that can be crammed on a single silicon chip doubles every year. Mody views “Moore’s Law” less as prediction than as self-fulfilling prophecy, pointing to the enormous investments of capital, people, and institutions the semiconductor industry required—the “long arm” of Moore’s Law that helped shape all of science. 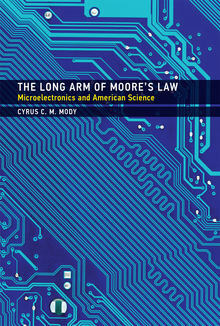 Mody offers a series of case studies in microelectronics that illustrate the reach of Moore’s Law. He describes the pressures on Stanford University’s electrical engineers during the Vietnam era, IBM’s exploration of alternatives to semiconductor technology, the emergence of consortia to integrate research across disciplines and universities, and the interwoven development of the the molecular electronics community and associated academic institutions as the vision of a molecular computer informed the restructuring of research programs. Online genetic testing services are increasingly being offered to consumers who are becoming exposed to, and knowledgeable about, new kinds of genetic technologies, as the launch of a 23andme genetic testing product in the UK testifies. Genetic research breakthroughs, cheek swabbing forensic pathologists and celebrities discovering their ancestral roots are littered throughout the North American, European and Australasian media landscapes. Genetic testing is now capturing the attention, and imagination, of hundreds of thousands of people who can not only buy genetic tests online, but can also go online to find relatives, share their results with strangers, sign up for personal DNA-based musical scores, and take part in research. This book critically examines this market of direct-to-consumer (DTC) genetic testing from a social science perspective, asking, what happens when genetics goes online? With a focus on genetic testing for disease, the book is about the new social arrangements which emerge when a traditionally clinical practice (genetic testing) is taken into new spaces (the internet). 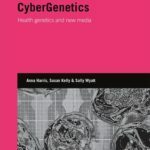 It examines the intersections of new genetics and new media by drawing from three different fields: internet studies; the sociology of health; and science and technology studies. While there has been a surge of research activity concerning DTC genetic testing, particularly in sociology, ethics and law, this is the first scholarly monograph on the topic, and the first book which brings together the social study of genetics and the social study of digital technologies. 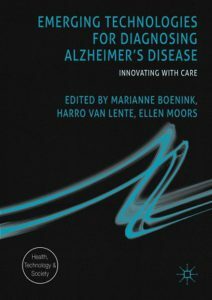 This book thus not only offers a new overview of this field, but also offers a unique contribution by attending to the digital, and by drawing upon empirical examples from our own research of DTC genetic testing websites (using online methods) and in-depth interviews in the United Kingdom with people using healthcare services. For more information and ordering, see Routledge. When people attend classical music concerts today, they sit and listen in silence, offering no audible reactions to what they’re hearing. 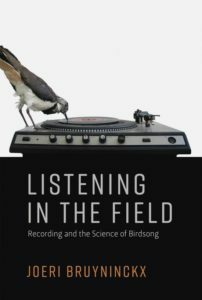 We think of that as normal-but, as Darryl Cressman shows in this book, it’s the product of a long history of interrelationships between music, social norms, and technology. 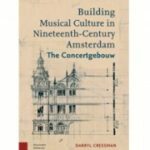 Using the example of Amsterdam’s Concertgebouw in the nineteenth century, Cressman shows how its design was in part intended to help discipline and educate concert audiences to listen attentively – and analysis of its creation and use offers rich insights into sound studies, media history, science and technology studies, classical music, and much more. 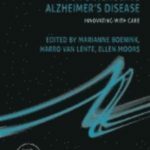 For more information and ordering, see Amsterdam University Press. For more information and ordering, see University of Chicago Press. Unravels an aspect of life-listening while driving-that is an everyday reality for millions of people. 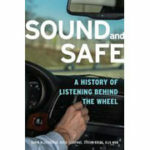 Explains how and why the car has become such an important place for finding auditory privacy. Puts readers behind the scenes at international standardization committees and automotive test benches. Includes over fifty beautiful period images. Includes a YouTube discussion, analyzing automotive commercials. For more information and ordering, see Oxford University Press. Novel technologies and scientific advancements offer not only opportunities but risks. Technological systems are vulnerable to human error and technical malfunctioning that have far-reaching consequences: one flipped switch can cause a cascading power failure across a networked electric grid. Yet, once addressed, vulnerability accompanied by coping mechanisms may yield a more flexible and resilient society. 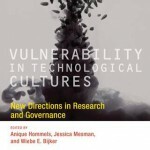 This book investigates vulnerability, in both its negative and positive aspects, in technological cultures. The contributors argue that viewing risk in terms of vulnerability offers a novel approach to understanding the risks and benefits of science and technology. Such an approach broadens conventional risk analysis by connecting to issues of justice, solidarity, and livelihood, and enabling comparisons between the global north and south. 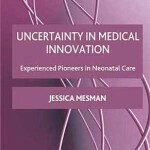 The book explores case studies that range from agricultural practices in India to neonatal intensive care medicine in Western hospitals; these cases, spanning the issues addressed in the book, illustrate what vulnerability is and does. The book offers conceptual frameworks for empirical description and analysis of vulnerability that elucidate its ambiguity, context dependence, and constructed nature. 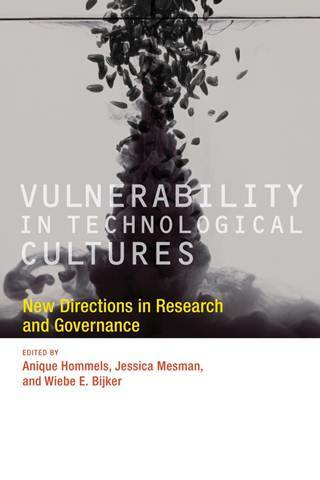 Finally, the book addresses the implications of these analyses for the governance of vulnerability, proposing a more reflexive way of dealing with vulnerability in technological cultures. Europe’s critical infrastructure is a key concern to policymakers, NGOs, companies, and citizens today. A 2006 power line failure in northern Germany closed lights in Portugal in a matter of seconds. Several Russian-Ukrainian gas crises shocked politicians, entrepreneurs, and citizens thousands of kilometers away in Germany, France, and Italy. This book argues that present-day infrastructure vulnerabilities resulted from choices of infrastructure builders in the past. 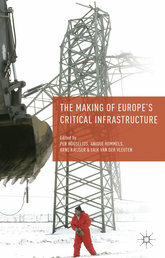 It inquires which, and whose, vulnerabilities they perceived, negotiated, prioritized, and inscribed in Europe’s critical infrastructure. It does not take ‘Europe’ for granted, but actively investigates which countries and peoples were historically connected in joint interdependency, and why. 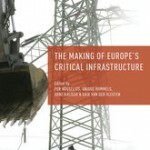 In short, this collection unravels the simultaneous historical shaping of infrastructure, common vulnerabilities, and Europe. For more information and ordering, see MacMillan. 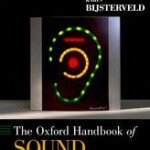 Written by the world’s leading scholars and researchers in the emerging field of sound studies, The Oxford Handbook of Sound Studies offers new and fully engaging perspectives on the significance of sound in its material and cultural forms. The book considers sounds and music as experienced in such diverse settings as shop floors, laboratories, clinics, design studios, homes, and clubs, across an impressively broad range of historical periods and national and cultural contexts. The Handbook can be ordered at, amongst others, Amazon. People nowadays live in a human-made environment, or technotope. Their lives are entangled with technology. Because technology not only brings gifts but also costs and hazards, it is important to reflect on what good technology is and, indeed, whether a technology contributes to a good life. The ethicists and social scientists united in this volume contribute to a novel approach to ethics and technology that initiates or enhances timely ethical reflection with scientists and engineers. Ethical reflection during research and development can help to anticipate how it can change human (social) like, and evaluate those changes. 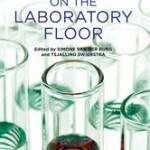 Ethics on the Laboratory Floor contributes to research decisions, for example with regard to what research goals to pursue, what research lines to prioritise, or how best to design user tests. By joining these deliberations Ethics on the Laboratory Floor helps to realise the best technological alternatives. The book can be ordered at MacMillan. Worlds of sound is important for everyone who is interested in listening to music of the 20th century or for anyone involved in studying or performing contemporary music. The central question is how to interpret music in case the performer is not willing to depend on personal taste or conventions. How much must a performer know of the context in which the composer writes his/her music? How is the right tempo chosen and how is the music articulated in time? How does the performer establish a rendering of the composer’s ideal sound? How does the performer relate to music history? These questions will be addressed in view of works by Arnold Schönberg, Igor Stravinsky, Erik Satie, Olivier Messiaen, Pierre Boulez, György Kurtág, Galina Oestvolskaja, Claude Vivier, Mauricio Kagel and Reinbert de Leeuw himself. 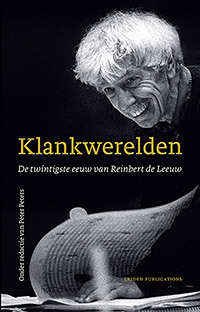 De Leeuw’s views on the performance practice of especially 20th century music have been widely covered in the media, but this is the first time that his ideas and understanding of performance practice and memories of collaborations with leading composers appear in the form of a book. They were taken from a series of seminars Reinbert de Leeuw (professor at Leiden University) presented at the Leiden University Academy of Creative and Performing Arts and the Orpheus Institute in Ghent. 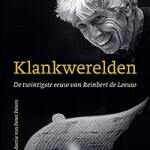 The book can be ordered at Leiden University Press. The book can be ordered at MIT Press. This pioneering book, first published in 1987, launched the new field of social studies of technology. It introduced a method of inquiry–social construction of technology, or SCOT–that became a key part of the wider discipline of science and technology studies. The book helped the MIT Press shape its STS list and inspired the Inside Technology series. The thirteen essays in the book tell stories about such varied technologies as thirteenth-century galleys, eighteenth-century cooking stoves, and twentieth-century missile systems. Taken together, they affirm the fruitfulness of an approach to the study of technology that gives equal weight to technical, social, economic, and political questions, and they demonstrate the illuminating effects of the integration of empirics and theory. The approaches in this volume–collectively called SCOT (after the volume’s title) have since broadened their scope, and twenty-five years after the publication of this book, it is difficult to think of a technology that has not been studied from a SCOT perspective and impossible to think of a technology that cannot be studied that way. This Anniversary Edition can be ordered at MIT Press. Today, scientific advice is asked for (and given) on questions ranging from stem-cell research to genetically modified food. And yet it often seems that the more urgently scientific advice is solicited, the more vigorously scientific authority is questioned by policy makers, stakeholders, and citizens. This book examines a paradox: how scientific advice can be influential in society even when the status of science and scientists seems to be at a low ebb. The authors do this by means of an ethnographic study of the creation of scientific authority at one of the key sites for the interaction of science, policy, and society: the scientific advisory committee. 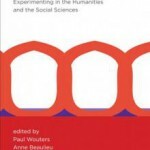 The Paradox of Scientific Authority offers a detailed analysis of the inner workings of the influential Health Council of the Netherlands (the equivalent of the National Academy of Science in the United States), examining its societal role as well as its internal functioning and using the findings to build a theory of scientific advising. The question of scientific authority has political as well as scholarly relevance. 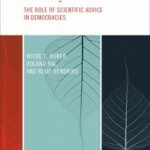 Democratic political institutions, largely developed in the nineteenth century, lack the institutional means to address the twenty-first century’s pervasively scientific and technological culture; and science and technology studies (S&TS) grapples with the central question of how to understand the authority of science while recognizing its socially constructed nature. 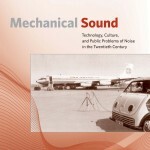 This book, part of the Inside Technologyseries, can be ordered at MIT Press. 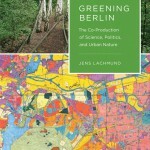 City planning initiatives and redesign of urban structures often become mired in debate and delay. Despite the fact that cities are considered to be dynamic and flexible spaces—never finished but always under construction—it is very difficult to change existing urban structures; they become fixed, obdurate, securely anchored in their own histories as well as in the histories of their surroundings. In Unbuilding Cities, Anique Hommels looks at the tension between the malleability of urban space and its obduracy, focusing on sites and structures that have been subjected to “unbuilding”—redesign or reconfiguration. She brings the concepts of science and technology studies (STS) to bear on the study of cities. 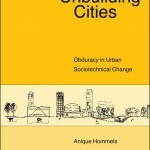 Viewing the city as a large sociotechnological artifact, she demonstrates the usefulness of STS tools that were developed to analyze other technological artifacts and explores in detail the role of obduracy in sociotechnical change. Her analysis distinguishes three concepts of obduracy: interactionist, in which actors with diverging views are constrained by fixed ways of thinking and interacting; relational, in which change is difficult because of technology’s embeddedness in sociotechnical networks; and enduring, in which persistent traditions influence the development of technology over time. This book can be ordered at MIT Press. The Neonatal Intensive Care Unit is a site where hi-tech medicine and vulnerable human beings come into close contact. Focusing on a number of medical and ethical challenges encountered by staff and parents, this book provides a new perspective on the complexity of these treatments and the inventiveness of those involved. This book, winner of the British Sociology Association’s Sociology of Health and Illness Prize, can be ordered at MacMillan. The book can be ordered at, amongst others, Amazon. The stories of the the safety bicycle, the first truly synthetic plastic, and the fluorescent light bulb – each a fascinating case study in itself – reflect a cross section of time periods, engineering and scientific disciplines, and economic, social, and political cultures. 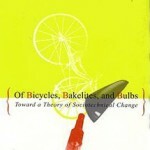 The bicycle story explores such issues as the role of changing gender relationships in shaping a technology; the Bakelite story examines the ways in which social factors intrude even in cases of seemingly pure chemistry and entrepreneurship; and the fluorescent bulb story offers insights into the ways in which political and economic relationships can affect the form of a technology. Bijker’s method is to use these case studies to suggest theoretical concepts that serve as building blocks in a more and more inclusive theory, which is then tested against further case studies. His main concern is to create a basis for science, technology, and social change that uncovers the social roots of technology, making it amenable to democratic politics. The book can be ordered by MIT Press. Technology is everywhere, yet a theory of technology and its social dimension remains to be fully developed. 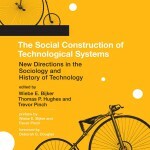 Building on the influential book The Social Construction of Technological Systems, this volume carries forward the project of creating a theory of technological development and implementation that is strongly grounded in both sociology and history. The 12 essays address the central question of how technologies become stabilized, how they attain a final form and use that is generally accepted. The essays are tied together by a general introduction, part introductions, and a theoretical conclusion. 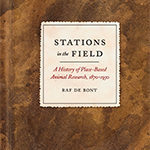 The first part of the book examines and criticizes the idea that technologies have common life cycles; three case studies cover the history of a successful but never produced British jet fighter, the manipulation of patents by a French R&D company to gain a market foothold, and the managed development of high-intensity fluorescent lighting to serve the interests of electricity suppliers as well as the producing company. The second part looks at broader interactions shaping technology and its social context: the question of who was to define “steel,” the determination of what constitutes radioactive waste and its proper disposal, and the social construction of motion pictures as exemplified by Thomas Edison’s successful development of the medium and its commercial failure. The last part offers theoretical studies suggesting alternative approaches to sociotechnologies; two studies argue for a strong sociotechnology in which artifact and social context are viewed as a single seamless web, while the third looks at the ways in which a social program is a technology.